Earth’s climate has always been changing. Although an abrupt change known as the Younger Dryas occurred 14,500 years ago, it lasted 3,000 years and resulted in a temperature increase of 10 degrees Celsius over a 10-year period in Greenland. The evidence of this change can be found in a cadre of studies of ice and ocean sediment cores. 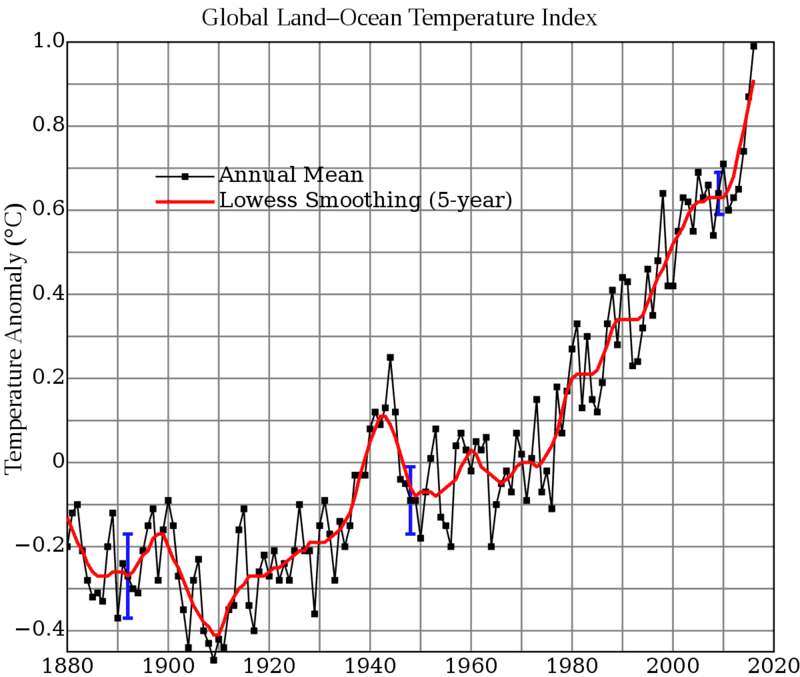 Global mean surface-temperature change from 1880 to 2016, relative to the 1951–1980 mean. Credits: NASA Goddard Institute for Space Studies . During this period, the Atlantic Meridional Overturning Circulation (AMOC), also known as the Gulf Stream, slowed. Most scientists attribute the slowdown to melting ice sheets dumping fresh water into oceans and a decrease in the albedo effect (the amount of solar radiation reflected by a surface or object, often expressed as a percentage) that regulates Earth’s temperatures. Scientists are still collecting data on how the increase in greenhouse gases due to human activity can cause the same kind of abrupt climate change. Now, Earth’s present climate is different from previous eras in many regards. There are significant signs that our global climate has changed more quickly than it has at any point during Earth’s existence. 3 How Will Humans of Today Adapt to Climate Change? There is a scientific consensus that the Gulf Stream is slowing down. Scientists also say that our atmosphere and oceans are warming, which leads to rising global sea levels. Just as hurricanes distribute heat from the equator to the poles and are fueled by warmer ocean waters, it’s clear that the intensity of hurricanes is linked to this slowing of the ocean current system that redistributes heat throughout the oceans. However, scientists are still refining how and how quickly we are approaching a period of abrupt climate change. 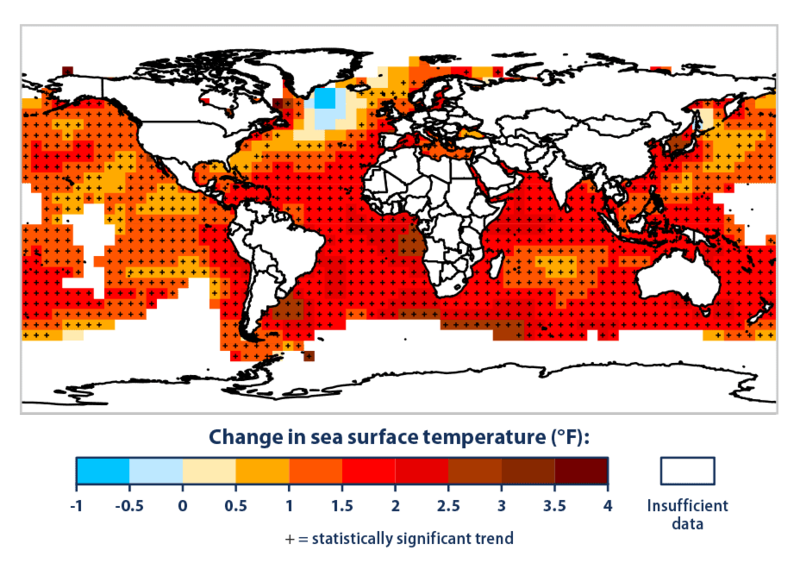 The Intergovernmental Panel on Climate Change wrote that “there is observational evidence for an increase in intense tropical cyclone activity in the North Atlantic since about 1970, correlated with increases of tropical sea-surface temperatures.” The impact of this increased activity can be seen across the globe, from the devastation of 2017’s hurricane season to the longer-term record of coral reef ecosystems. With all of these scientific studies and what we’ve seen of hurricanes Maria, Harvey and Irma, does it really matter whether humans or natural cycles are responsible for the slowing of the AMOC or the increasing ocean temperatures? Current weather data show us more than 30 years of conclusive scientific evidence of unprecedented climate change. Andrew C. Revkin of the New York Times suggests that the Earth is on the precipice of another abrupt climate change period in this Holocene inter-glacial period. The time until this ice age peaks (in about 80,000 years) may seem like long enough for the Earth and its oceans to recalibrate in response to an abrupt climate change. 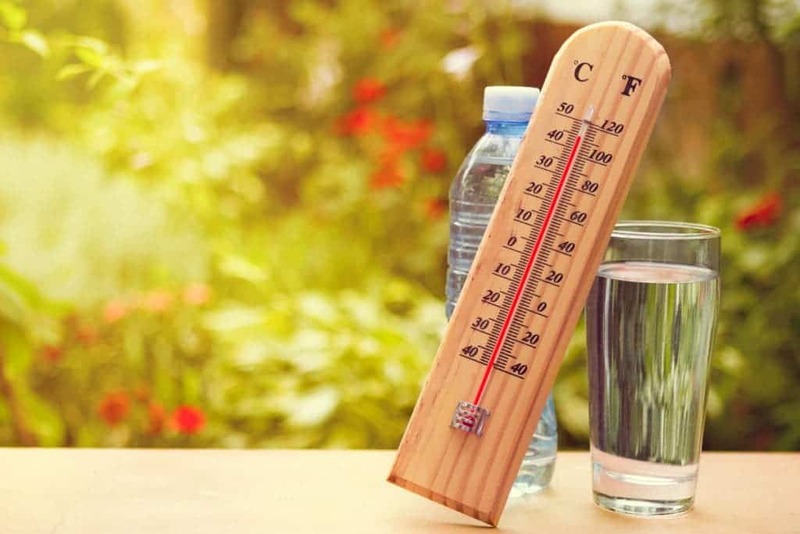 But if we think about the difference a two-degree Celsius increase in temperature would have on our lives in terms of heatstroke, fatigue and food destruction, we might understand the havoc that a 10-degree change during a 10-year period would do. During the Younger Dryas period, that rate of abrupt change led to animal extinctions and damages that imperiled the health of established human societies. However, most human societies found ways to adapt and they refined their ways to find water and grow food. How Will Humans of Today Adapt to Climate Change? Bob Silberg, of NASA’s Jet Propulsion Laboratory, says that a two-degree Celsius increase would be a big problem. It would create wide-reaching ecosystem changes and specifically affect the health of our coral reefs, which were once a buffer against hurricane storm surges. Now, we can’t say that an abrupt climate change scenario will make Earth resemble the new Ice Age as portrayed in the movie, “A Day After Tomorrow.” Even though this film and many others like it are based on science to a degree, the timing of the disaster in “A Day After Tomorrow” was accelerated for dramatic effect. However, we do have records and countless visuals of the reality of climate chaos in the form of more intense hurricanes. We can accept climate change or not. It’s happening either way. Image credits: NES. After seeing three intense September hurricanes in the Atlantic, we should ask ourselves if we want to continue the climate change debate while we await confirmation of whether climate change is natural or human-induced. Real climate change concerns families, lives, properties, businesses and shared infrastructure. How long do we have to convert our gray infrastructures to green and hurricane-resilient infrastructures before we face another catastrophe? Determining whether climate change is real or even human-induced is moot. The main purpose of this cause-effect determination is to figure out who is responsible and how much governments and companies around the world should pay to other countries, small businesses and communities that are more immediately affected by climate change. Most climate change deniers’ arguments are becoming null and void. The climate is changing. Policymakers, advocates, scientists and visionaries are pushing the cause-effect link to justify spending funds on climate mitigation and adaptation. However, now that we are in the era of climate change effects, Earth’s system of redistributing heat is shifting our focus more toward climate change adaptation, rather than mitigation. The immediate goal of climate change mitigation – preventing future climate change – is gradually becoming irrelevant. Climate change mitigation and adaptation are now more about self-reliance, self-sufficiency and the survival of human societies. Self-reliance in the face of intense natural disasters and gradual life-changing climate change will mean the creation of better systems to provide water, energy and food to communities. Historically, human beings have done this by building agrarian societies or by becoming hunter-gatherers, so the lessons of adaptation are already in our DNA. Are we going to continue to watch paralyzed as our future is swept away? Will we drown in the distraction of a climate change debate that no longer matters? If we are to survive, we must face the reality of climate change. Now is the time to find a way to survive. Dr. Ariana Marshall is a faculty member with the School of Science, Technology, Engineering and Math at American Public University. She is the Director for the Caribbean Sustainability Collective and focuses on culturally relevant sustainability and climate change adaptation. Ariana completed her doctorate in environmental science at FAMU.